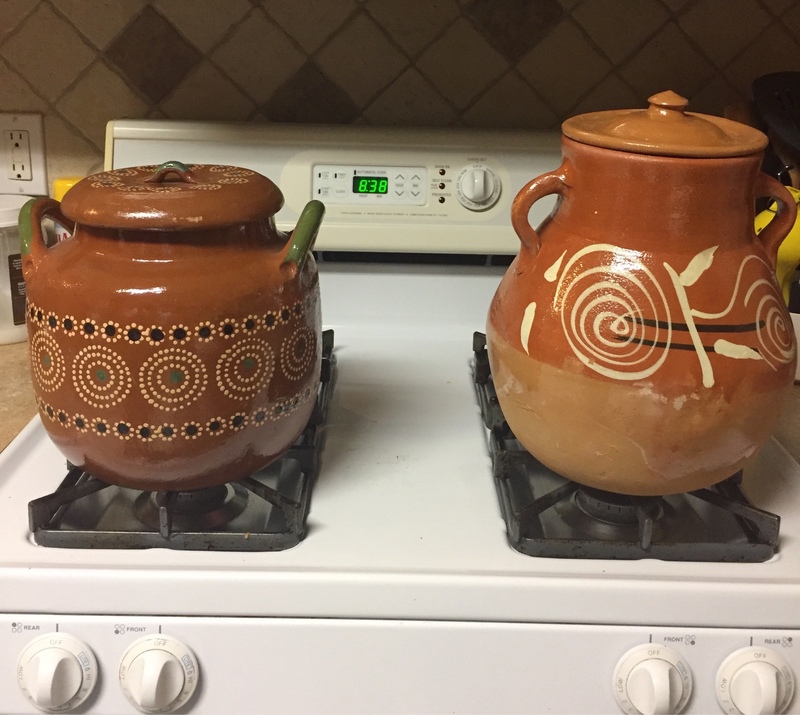 Got 2 pots here at the house fresh from Nuevo Laredo Mexico if anyone needs one. Danimal14 here is a pic of the 2 that I have. Here are the beans my dad taught me how to make many moons ago at the ranch. 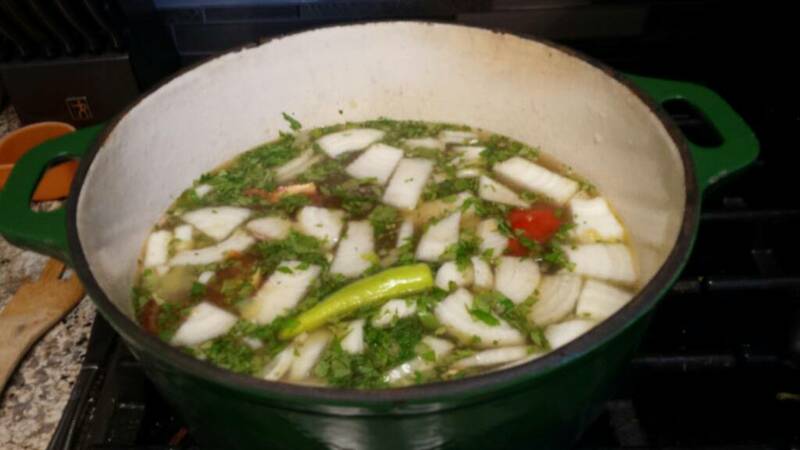 What you'll need: bag of pintos, favorite bacon, cilantro, 3 x serrano peppers, 2 x tomatoes, onion of choice, salt, minced garlic, and can of beer. Take the pintos, sift to get the bad ones out, finely chop cilantro, cut off the stems of the serranos, chop up onion, cut bacon into about 1" pieces, quarter tomatoes, beer and add all this along with the garlic and salt to taste to your clay bean pot ( if you do not have a clay bean pot you can use a regular pot but watch the water level as you may have to add more), put the burner on high for 1 1/2 hrs then drop down to medium for another 1 1/2 hrs ( 3 hrs total). Enjoy and you also have left overs for fresh refried beans for breakfast. Now that I know it's your recipe dude I'm trying these when I get home. I'm gonna make some this weekend. About how much salt and garlic are y'all using? Gonna make these this weekend! Is it just one beer for the beans and then the other 11 for the bean cook? Just want to be sure I have the proportions right. Did I read somewhere in this thread to remove the peppers after cooking because it will sour the beans if left in? I may have read that on a different recipe. Cant recall. Yeah I said take them out prior to storing the beans for leftovers. Beans get a weird taste to me if the serranos are left with them. Something was giving a wierd taste after a day or two for me as well. I will try this next time. Other than that, its a dang good recipe! Ive made it a few times. Thanks for shairing it with us. Awesome. Placed my order on ebay. Can't wait any longer for a trip down south. Last attempt in the metal pot were burnt. Lid and and I like to buy the peeled tomatoes so there's no skin in the beans. Sounds like another good recipe! I need to make some!!!! did a little different. ...brined beans overnight then put them at 250 in the oven with some homemade beer can chicken carcass broth. Just finished up a pot. Looks like I'll be eating beans and cornbread all week! Used this recipe as a base and tweaked it a little to my liking. Great stuff! One of my favorites! Make it every time I smoke pork ribs. Bumping because it’s the perfect weather for these! I use this recipe all time. One of my favorites. This deserves a bump to the top! 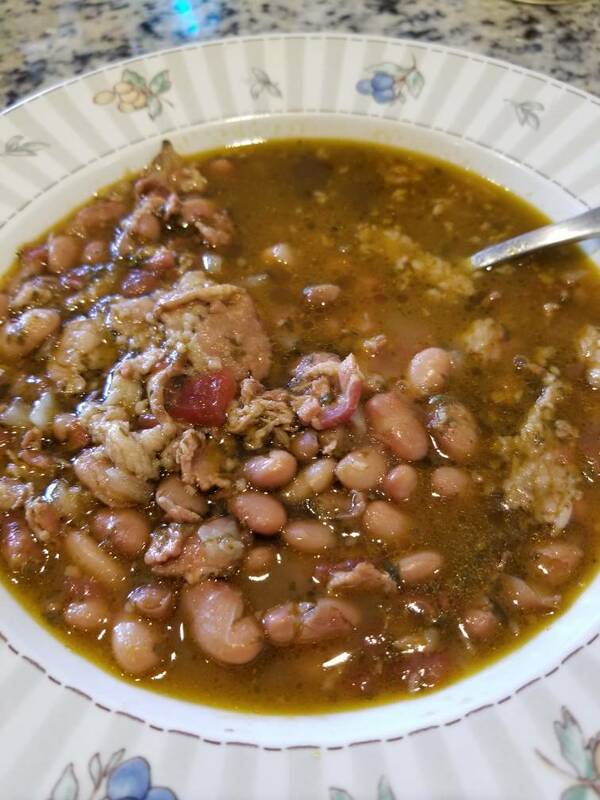 I have cooked these beans many times over the last couple of years and they are ALWAYS great! I have served them at family dinners and at hoytie toytie banquets and they are a hit every time. I've quadrupled the recipe to serve 60 people (as a side dish) and ran out because folks came back for seconds and thirds of these beans. The only deviation I've ever made from the original posted recipe is that I'll sometimes buy peeled canned tomatoes instead of using fresh. Otherwise, I make it exactly as written and have never been disappointed. Thank you PB for this awesome recipe! Edit - I sometimes cant add beer because of where I'm cooking, scout camps or work. Thx KFD, you know what? I’m actually 50/50 on using beer. Sometimes I’ll add some but most times I just drink it lol. 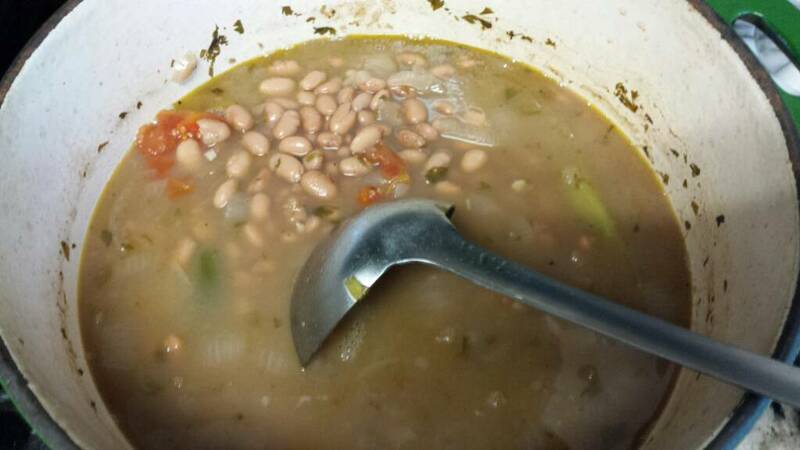 PB...do you soak the beans and pour off water to de-gas the beans? Gonna have to try this. Any particular beer better then another? It looks good and will be perfect for a pita wrap. 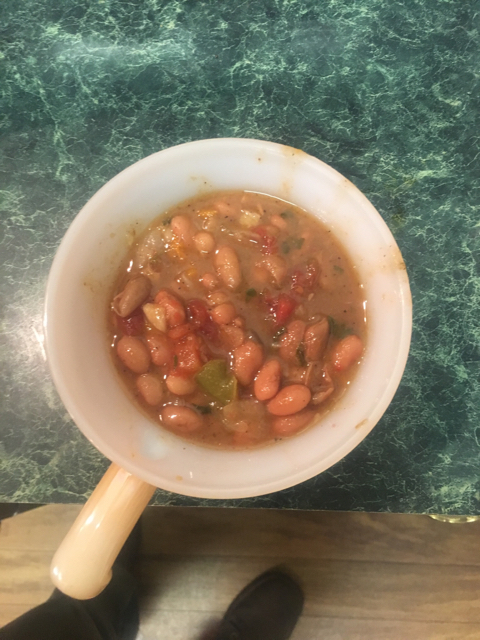 My first try forborracho frijoles. We loved them. Thx.